Free referrals to local Live Reindeer. Easily find Live Reindeer listings below or request quotes today. Wynarda requested quotes for Live Reindeer in Cedarville, CA. Megan requested a quote for Live Reindeer in Goode, VA.
Kimberly just asked for prices in Bluffdale . Allen wanted a quote for Live Reindeer in Pasadena. Jamie asked for a price quote for Live Reindeer near West Jordan, UT. Jason wanted rates for an event in Harrisville,RI. Cory just requested quotes in San Antonio, TX. Connie requested a quote for Live Reindeer in Ebola pa.
Trey just asked for prices near Cottleville, MO . Dave wanted a quote for close by New Orleans, Louisiana. Anthony asked for a price quote for an event near Sewickley pa 15143. Neehar wanted prices in New Orleans, Louisiana. Neehar requested quotes for Live Reindeer in New Orleans, Louisiana. Jill requested a quote for Live Reindeer in St. Louis, Missouri. Lynda Walsh just asked for prices in Foxboro, MA 02035. Patrick wanted a quote for Live Reindeer in Belleville, Illinois . Yvonne asked for a price quote for Live Reindeer near Wadesville Indiana. Morgan wanted rates for an event in Orem, Ut. Miranda just requested quotes in San Antonio TX . Erika requested a quote for Live Reindeer in San Antonio, Texas. Ashley just asked for prices near East Greenwich, Rhode Island, 02852. Jessica wanted a quote for close by Erie, Pennsylvania. Jeranika asked for a price quote for an event near New Orleans, Louisiana. Meredith wanted prices in Oakdale, LA. Dana requested quotes for Live Reindeer in Larose, Louisiana. Meagan requested a quote for Live Reindeer in Maynard, MA . Molly just asked for prices in Crewe, Virginia. 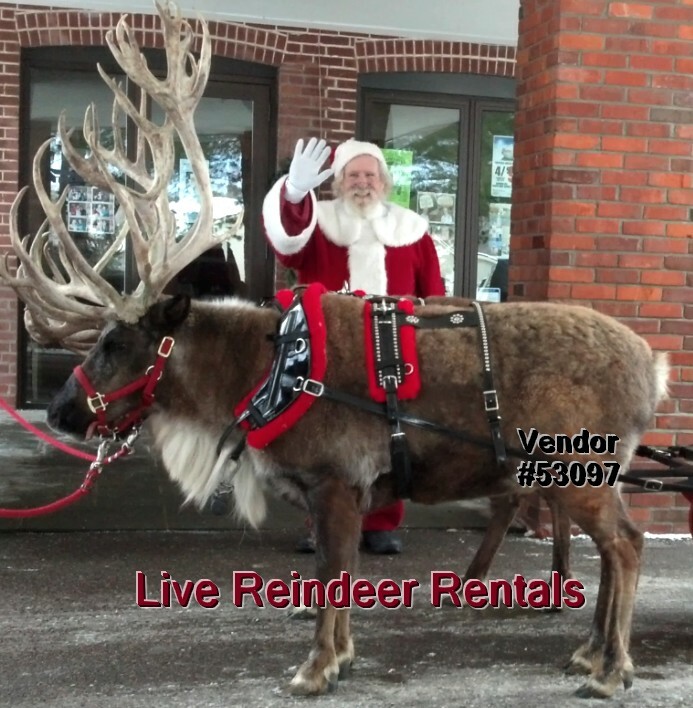 Patti wanted a quote for Live Reindeer in Raynham, MA. Dianne asked for a price quote for Live Reindeer near Bedford, Va.
cory wanted rates for an event in falcon co.
Kristen just requested quotes in Wellesley, MA. Kim requested a quote for Live Reindeer in Leesburg. Amy just asked for prices near Brentwood, California. Debbie wanted a quote for close by Carlinville, IL. Stephanie asked for a price quote for an event near West Liberty, Iowa. Julie wanted prices in Altoona, IA. Linda requested quotes for Live Reindeer in LaPlace, Louisiana. Dawn requested a quote for Live Reindeer in Grand Coteau, La. Ashley just asked for prices in Woodbridge , Virginia. Lorie wanted a quote for Live Reindeer in St. Louis, Missouri. Debbie asked for a price quote for Live Reindeer near St. Louis. Wendy wanted rates for an event in Andover, MA. Betty just requested quotes in HAVERHILL MA 01832. Sharron requested a quote for Live Reindeer in Manning SC 29102. Sean just asked for prices near Bohemia ny. MARY JO wanted a quote for close by Antioch, IL. Shane asked for a price quote for an event near Las Vegas, Nevada. John wanted prices in Metairie, la 70002.
erik requested quotes for Live Reindeer in washington dc. Susan requested a quote for Live Reindeer in Louisville, Kentucky. Quick Quotes Right Now from Live Reindeer!